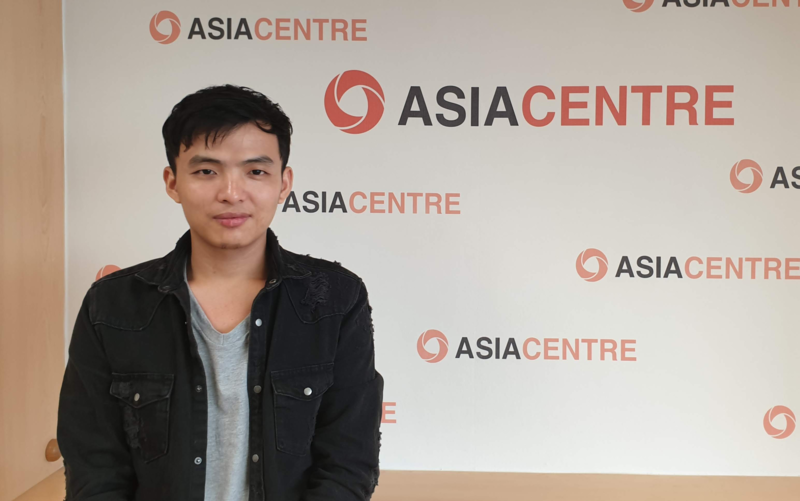 Nagawang Dorji is a marketing and communications intern at Asia Centre from March to May 2019. He is a student of International Business at Rajamangala University of Technology Phra Nakhon, Thailand. During his internship at Asia Centre, Dorji wishes to contribute to the design of digital presentations as well as undertake market research. He hopes to improve his skills in communications and gain some experience in marketing strategies for the activities of a social enterprise such as Asia Centre. When he is not studying or planning for his career, Dorji spends his time with friends playing football, basketball, watching movies and listening to music. Sonam Chuki is a communications and marketing intern at Asia Centre from March 2019 to May 2019. She is from Bhutan and is currently pursuing a degree in International Business at Rajamangala University of Technology Phra Nakhon, Bangkok. 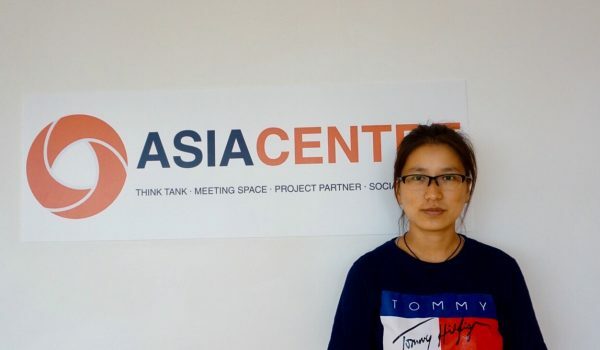 While at Asia Centre, Chuki hopes to broaden her knowledge of digital marketing and communications techniques through the practice of promoting the Centre’s activities over social media platforms. She also aims to contribute to innovative digital designs for the promotion of the Centre’s activities and events. Chuki is multilingual speaking her native Bhutanese as well Hindi and Nepali. She enjoys meeting new people from diverse communities, loves to travel and is an avid DIY enthusiast. 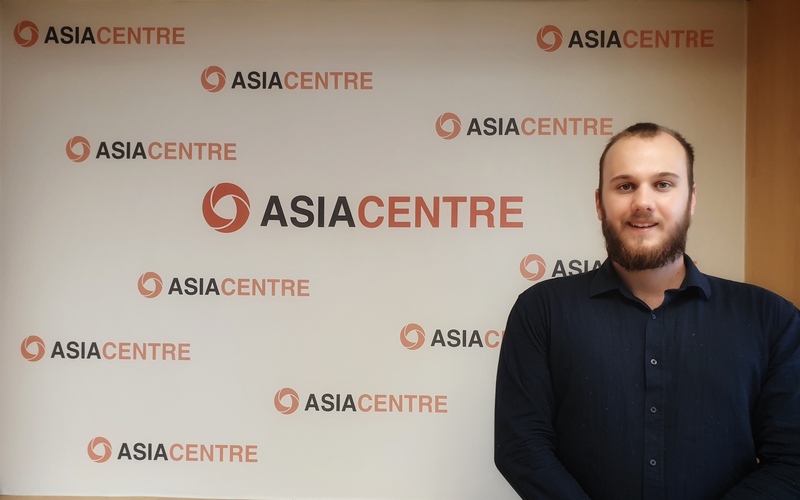 Oliver is a research intern at the Asia Centre for February-March 2019. He is an Australian student, studying Government and International Relations as well as Asian Studies at Griffith University, Brisbane and will be undertaking an Honours research degree at Deakin University, Melbourne. Oliver is an Australian Department of Foreign Affairs and Trade New Colombo Plan Scholar. He has working experience in Hong Kong, Japan, South Korea, Malaysia and Cambodia, in a range of areas including international trade, commerce, embassy work, policy creation and refugee rights. During his internship at the Asia Centre, Oliver intends to enhance his knowledge of current human rights issues within the Southeast Asian region, improve his researching capacity and gain confidence in public speaking on topics related to global and regional politics. He spends his free time travelling, writing, debating and playing chess. 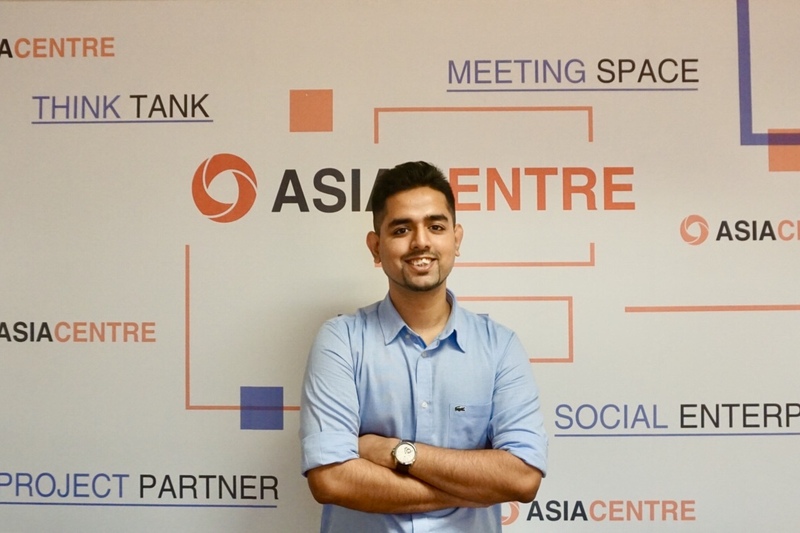 Safen Roy is a communications intern for the Asia Centre from January to July 2019. He is pursuing his Bachelors in Economics with a minor in English Literature from BRAC University, Bangladesh. He has also worked as a contributor at Bangladesh Post, a daily newspaper. 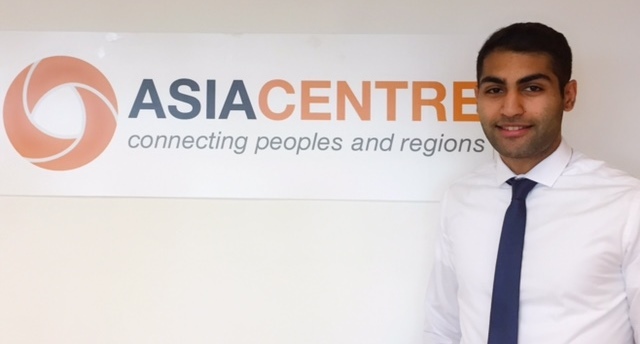 Through the internship at the Asia Centre, Safen wishes to learn more about the integration of ASEAN countries and cultures; and also to develop his writing and communication skills. He is interested in the role of social media and the internet in people’s lives. During his free time he likes to read novels, go for long walks and swimming. Kasumi Shiraishi is an Asia Centre research intern from September to December 2018. She is pursuing a master degree in International Relations at Waseda University, Japan and is an exchange student at Thammasat University in Bangkok. 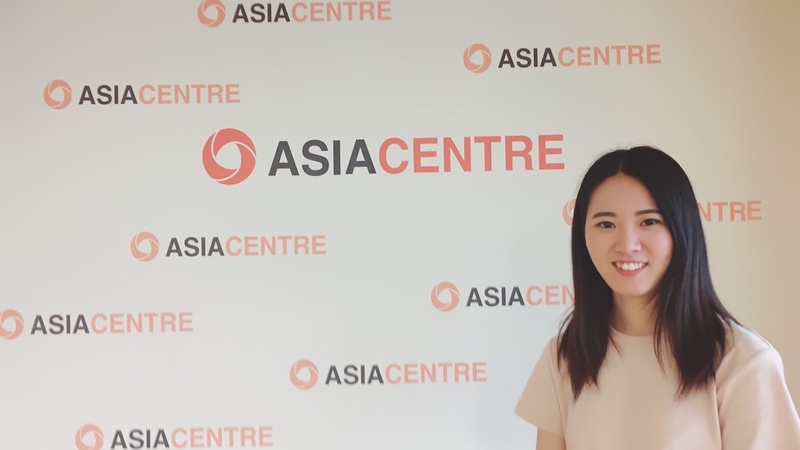 Through her internship at Asia Centre Kasumi hopes to improve her research and writing skills as well as deepen her knowledge of human rights conditions in Asia. She is also interested in the impact of civil society on the promotion and protection of human rights. In her free time, Kasumi loves travelling and watching movies. 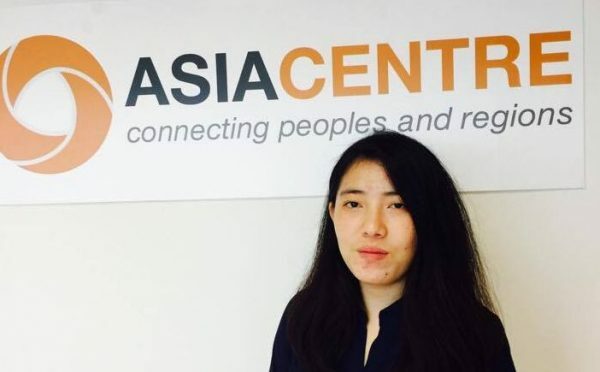 Estell Kim is a Communications and Marketing Intern at Asia Centre from May 2018 to August 2018. She is an undergraduate at the University of California, Berkeley, majoring in Media Studies and minoring in Global Poverty and Practice. 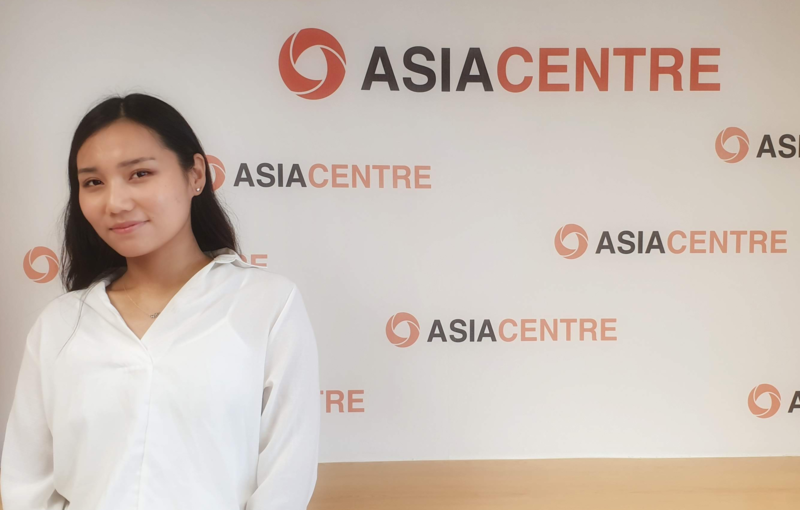 Estell chose Asia Centre because it provided her a platform to develop her communication and marketing skills and apply them in a practical manner to promote the work of the Centre. She is passionate about human rights issues, particularly in relation to communications within the South-East Asian region. In her spare time, Estell enjoys activities such as reading, watching movies, and traveling—especially for the purpose of taking photos. Kamela Rezaie is a Communications and Marketing Intern at Asia Centre. She is currently undertaking a Bachelor of International Relations at La Trobe University in Melbourne, Australia. Kamela is a recipient of the New Colombo Plan Mobility Program, provided through the Australian Government’s Department of Foreign Affairs & Trade, which is to support her during her exchange program at Thammasat University in Bangkok, Thailand. 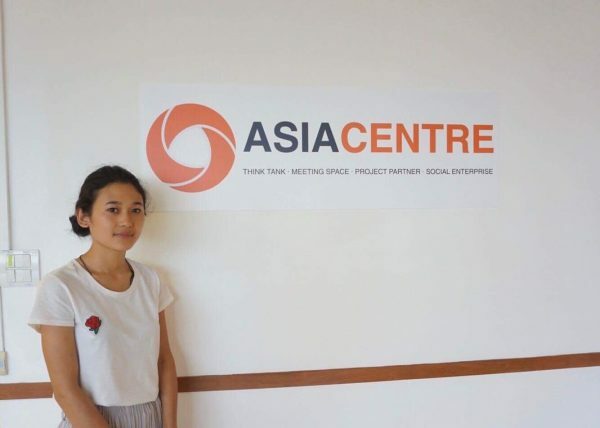 She decided to do an internship at Asia Centre to improve her communication and research skills, enhance her knowledge of the Southeast Asian professional working culture, and to better understand marketing strategies in the social enterprise sector. She is multilingual and enjoys working with people from diverse backgrounds. Kamela is also passionate about travelling, research, reading and sports. Elise Schuster is a Research Intern at Asia Centre. She is currently studying a dual Bachelor of Arts/Bachelor of Social Science at the University of Queensland in Brisbane, Australia, majoring in International Relations, Peace & Conflict Studies and Health & Society. Elise is a 2017 recipient of the New Colombo Plan Scholarship, provided through the Australian Government’s Department of Foreign Affairs & Trade, which is supporting her to conduct this internship. 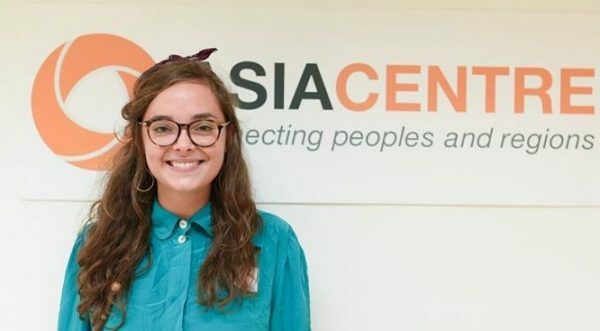 Elise chose to intern at Asia Centre to improve her research skills and deepen her knowledge of ASEAN and its human rights protection mechanisms, with a particular focus on business and human rights in the region. In her spare time, she enjoys hiking, travelling, and relaxing with a cup of tea and a good book. Hamsa Mohamed is a Communications Intern at Asia Centre, focusing on corporate communications and brand building. He is currently undertaking an MBA at Stamford International University, where he is also an active member of AIESEC. 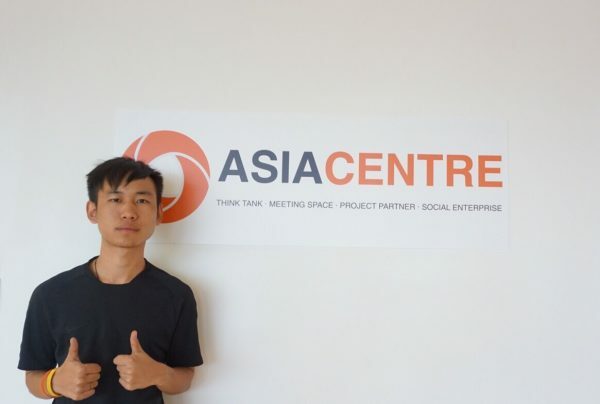 He decided to do an internship at Asia Centre to deepen his working knowledge of Southeast Asia and to better understand the social enterprise sector. He is multilingual and enjoys meeting and working with people from different backgrounds. Hamsa is also passionate about youth development, volunteering, reading and cooking. Tshering Nima is doing a market research internship at Asia Centre from November 2017 to February 2018. She was born and brought up in Monger, Bhutan and is currently studying at Rajamangala University of Technology Phra Nakhon where she is pursuing a degree in International Business. Nima chose Asia Centre for her internship as she thinks it is a perfect fit for her, giving her the opportunity to grow and develop her business acumen. In her free time Nima enjoys reading books, spending time with her parents and traveling. Dawa Dem is undertaking a marketing and communications internship at Asia Centre from November 2017 to February 2018, with a focus on social media marketing. She is pursuing a degree in International Business at the at Rajamangala University of Technology Phra Nakhon. 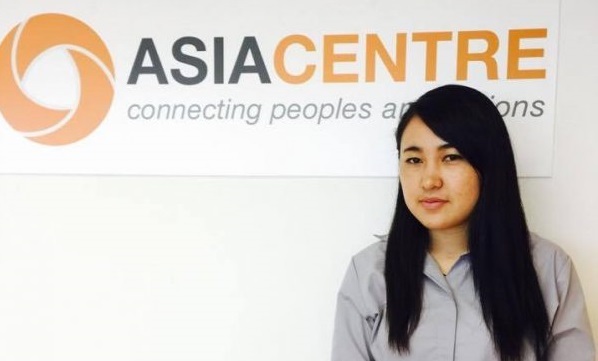 Dawa chose to do her internship at Asia Centre in order to improve her communication skills, gain experience in marketing strategies and to hone her research skills. Originally from Bhutan, Dawa spends her free time traveling, listening to music and watching movies. Shaz is undertaking a research internship at Asia Centre from April until June 2017, focusing on a review of the Universal Periodic Review of the UN Human Rights Council and its impact on the protection of human rights in Southeast Asia. He is currently doing an undergraduate history degree at Kings College London. He chose Asia Centre in particular because of its regional (ASEAN) focus and its evidence-based research on human rights. With a strong interest in international politics, a research internship related to UN mechanisms, policies and processes appeared to be a good platform for his future career. During his free time Shaz loves to travel. Arsenal is his football team and he says that (luckily or not) being in London for university means he can often go to watch his team, even if they do cause him so much heartache. Yangchen is doing a marketing and communications internship at Asia Centre from April to July 2017. The focus of her internship is on market research and developing marketing strategies for the Asia Centre. She chose to do internship at Asia Centre in order to improve her communication abilities and to hone her marketing skills. Yangchen is currently in her final year of International Business Studies at the Rajamangala University of Technology of Phra Nakhon. In her free time she likes to listen music, read and travel. Kezang is doing a marketing and communications internship at Asia Centre from April to July 2017. Kezang's key internship tasks include developing a database of nearby businesses and digital marketing of the Asia Centre space. She decided to do internship in Asia Centre to improve her communication skill and gain experience in developing marketing strategies for a social enterprise. She is currently a student at the Rajamangala University of Technology, Phra Nakhon, where she majors in International Business. During her free time she likes reading novels and listening to music. Francesco is doing a research internship at Asia Centre from March to July 2017 with focus on National Human Rights Institutions in Southeast Asia, their mandates and compliance with the Paris Principles. 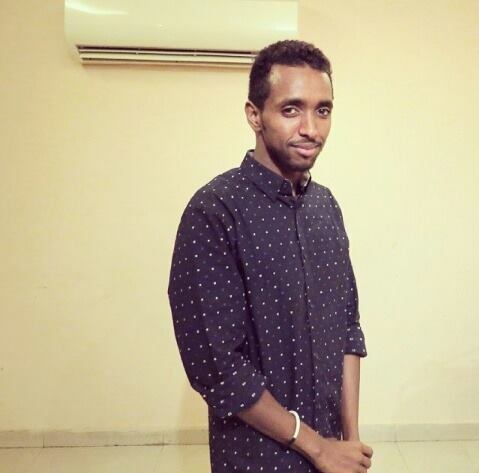 He has a Bachelor of Arts in History and Business and Economics and is currently pursuing a Master’s Degree in European Global Studies at the University of Basel, Switzerland. Francesco chose to intern at Asia Centre in order to develop his research and writing skills, expand his knowledge on human rights and to gain into the day to day operations of a social enterprise. Apart from studying and research, Francesco is addicted to football and also enjoys to reading a good book, travelling and going out with friends. 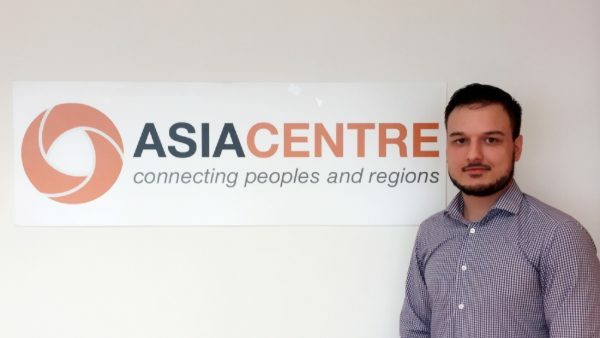 Francesco was connected with Asia Centre by our partner organisation, AIPGlobal. 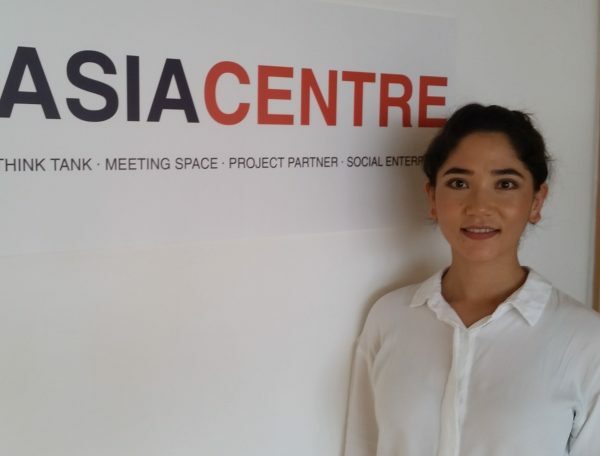 Silvia is doing research internship at Asia Centre from September to December 2016. The focus of her research is on national human rights institutions in Southeast Asia and their engagement with the Universal Periodic Review process. She is in the last year of a bachelors degree in International Cultural and Business Studies, with focus on Southeast Asia, at the University of Passau, Germany. 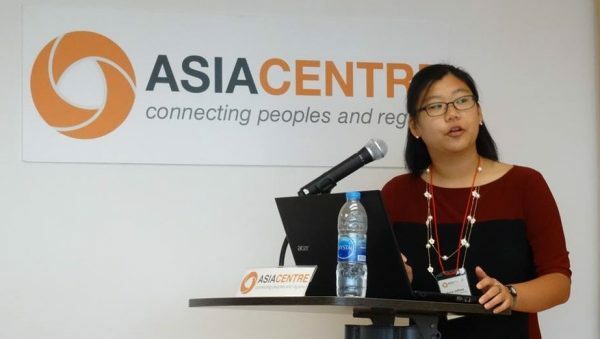 She decided to do an internship at Asia Centre because she wants to deepen her knowledge of contemporary Southeast Asian issues and improve her research, writing and organizing skills. She also enjoys working in an international work environment with various kinds of stakeholders from international and local civil society, to academia and the private sector. In her free time, Silvia likes spending time in nature, going to concerts, travelling and cooking. Anna is here at Asia Centre from July through September 2016 for a research internship on human rights. Her focus is the role and impact of Southeast Asian civil society and the Universal Periodic Review. Anna is completing her degree in Global Studies: Global Security at the University of Wisconsin-Milwaukee. She is also pursuing studies in Japanese and Korean. 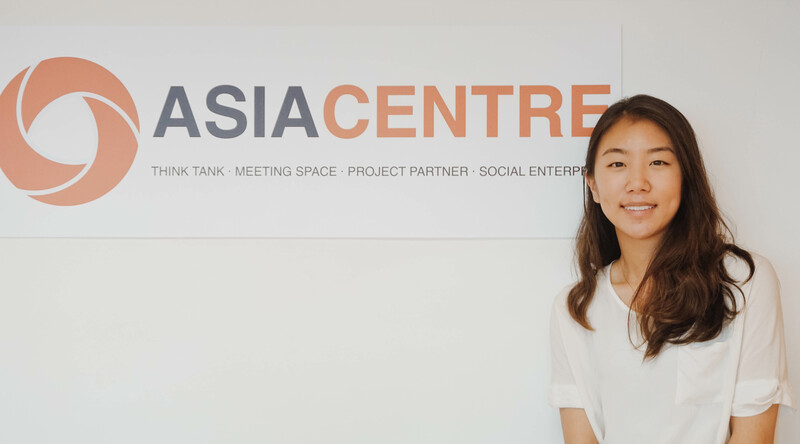 She chose her internship with Asia Centre to allow her to gain a wide range of skills including event management, budgeting, fundraising, research, and leadership skills. When not researching and studying Anna enjoys trying new foods, reading a good book, and watching movies. 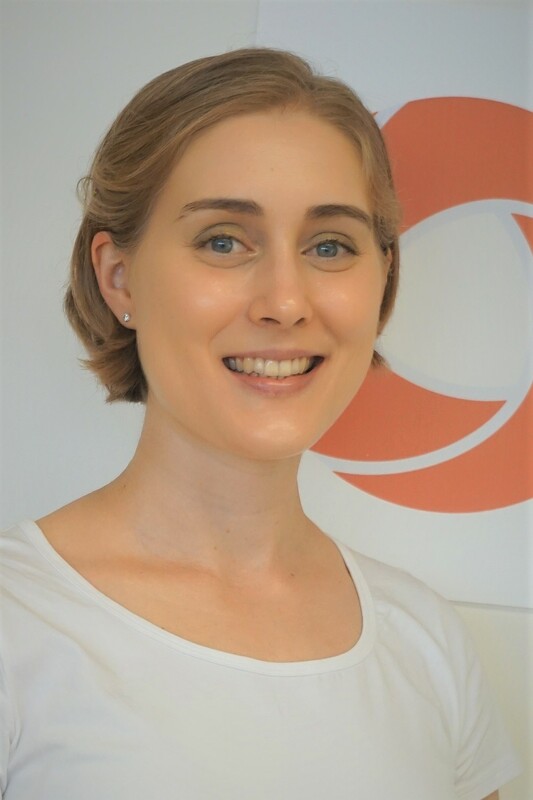 Anna was connected with Asia Centre by our partner organisation, AIPGlobal.